has threatened to withdraw from the case, following what she described as attempts by the defense to frustrate her. 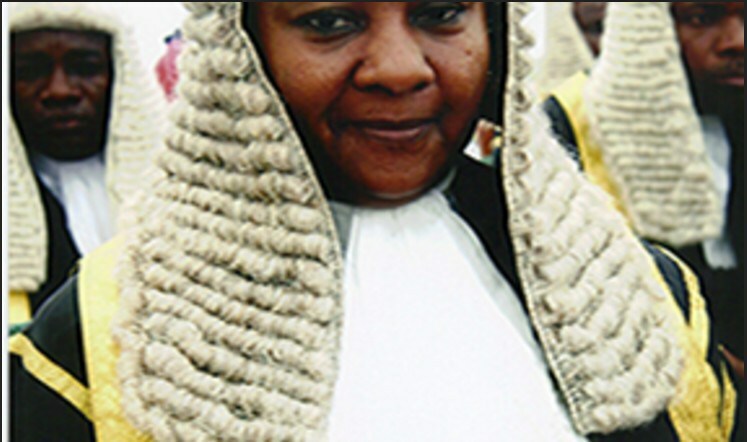 Justice Binta Nyako gave the warning Tuesday after a series of arguments between herself and defense lawyers. 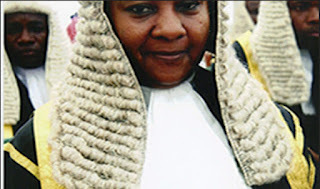 Reacting to an application by Mr. Kanu’s lawyer, Ifeanyi Ejiofor, Mrs. Nyako said she had been pushed to the brink by the defendant’s counsel and would recuse herself. “If you don’t want me to continue in this matter, I will recuse myself,” said Mrs. Nyako. The lawyer was speaking on a motion he planned to bring before the court, but whose content had not been listed by Mrs. Nyako when the argument ensued. “I told you that the matter is not yet before me,” she added, saying the defendant counsel were making the matter difficult. Several applications were made by the lawyers on Tuesday. The prosecution lawyer, Shuaibu Labaran, asked that Mr. Kanu’s bail be revoked and that the bond N100 million be collected from the sureties. He also demanded an arrest of the sureties. On the other hand, the defendant counsels asked that their trials be heard separately. The counsel to the fourth defendant, Maxuel Okpara, asked the court to allow his defendant attend to his health outside the prison. Responding, Mrs. Nyako said she had a right to consolidate the charges, even if they had been filed separately. “So I don’t see why I should separate something I should have heard together,” Mr. Nyako said. An application was also made by a counsel to one of the sureties, Eyinnaya Abaribe, to be discharged of his role as surety. Reacting to the application, Mrs. Nyako said the court would only consider three options for all the suits. The lawyer, Obiechi Ogbonna, told the court he would prefer the third option. Consequently the matter was adjourned till November 20 for the sureties to explain to court. Mr. Kanu and three other defendants are accused of treason, among other charges. Mr. Kanu, who was granted bail in April, has not been seen in public since September 14. The federal government has proscribed IPOB group led by Mr. Kanu as a terror organisation. It us unclear where Mr. Kanu is really located, as both the federal government and Mr. Kanu’s lawyers have traded blames about his whereabouts. Mr. Kanu had four sureties: Eyinnaya Abaribe, a Jewish priest, Immanuu-El Shalom, an accountant and Abuja resident, Tochukwu Uchendu.